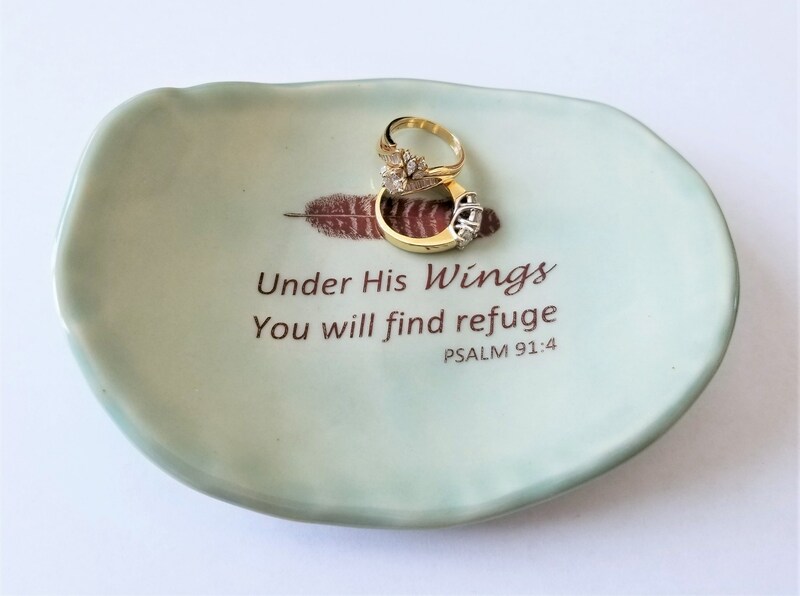 My little ceramic dishes provide inspiration each time they are used. 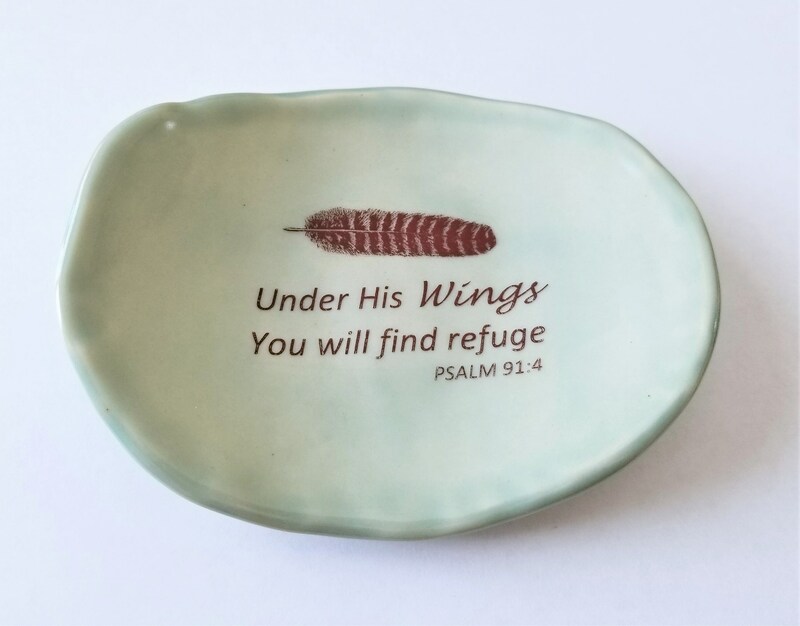 Handcrafted of stoneware clay, this little tray is glazed in a pale aqua. I designed the ceramic decal that has been fired into the glaze for lasting inspiration. 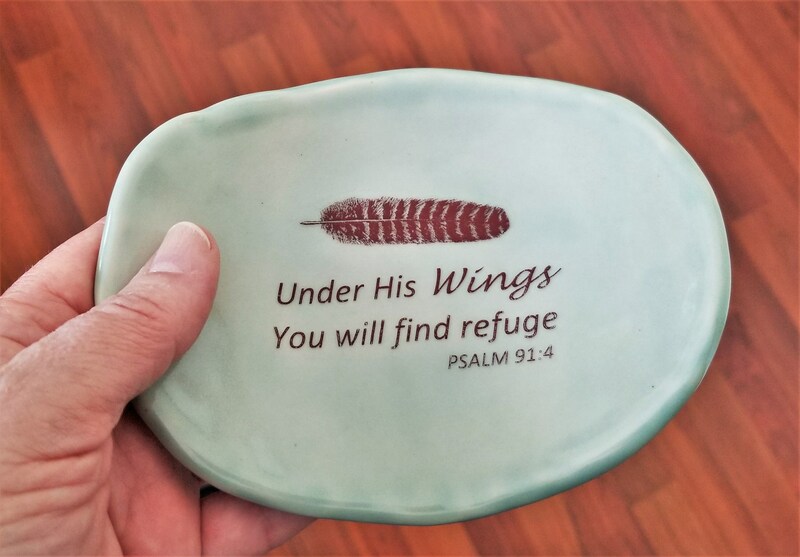 This dish reads, "Under His Wings You will find refuge", Psalm 91:4.